Thats the very one we go to. Anyone seen finals yet? If so, perhaps they can post them here. How very random, I entered both cars in R3 as usual. Now double driving the coupe. I was also wondering that? I haven’t seen any? I do the same. Number at Croft (see the strategic placing of no.4). 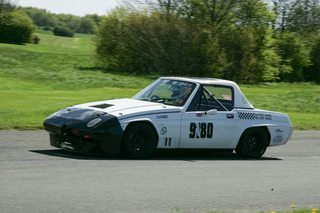 I wonder if Geoff would swap doors for the event? Steve got back to me and said they'd change it on the day - I mentioned the Tracer coupe too. Ok back to curry on Saturday night. Bilash Fradley at say 9pm?